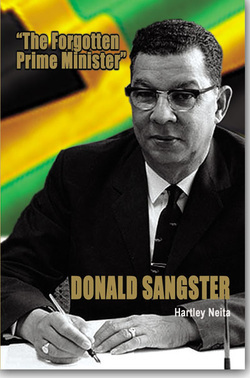 Hartley Neita was Press Officer to Jamaica’s first Premier, Norman W. Manley, and Press Secretary for four of Jamaica’s post-independence Prime Ministers: Alexander Bustamante, Donald Sangster, Hugh Shearer and Michael Manley. Neita was the author of the biography, Hugh Shearer: A Voice for the People, and a columnist for The Gleaner for which he submitted the series “Historical Highlights” and created “This Day in Our Past”, which the Gleaner still publishes. He also authored the book, The Search, part proceeds of which go to his alma mater through its Jamaica College Foundation. Hartley Neita died in December 2008. This biography is being published, posthumously, thanks to The CHASE Fund. "This book should be required reading as we celebrate Jamaica’s 50th anniversary because it takes us back in an intimate way to the beginning, to that generation that crafted the new nation in 1962." The Encyclopedia of Jamaican Heritage. :: WHERE DID THEY COME FROM ALL OF A SUDDEN? :: WHY SO MANY AT ONCE? :: WHAT DO THEY EAT? :: SERIOUSLY, HOW CAN SUCH A LITTLE COUNTRY PRODUCE SUCH FAST PEOPLE? Champs 100: A Century of Jamaican High School Athletics, 10910 - 2010, is the official ISSA Champs story and is available in the better Jamaican bookstores and from the publishers, Great House OmniMedia. Exclusive features on Champs legends, including Usain Bolt. When a feisty, Cherokee beauty and a strong-willed, male, runaway slave lock their destinies together in a headlong pursuit of freedom, they unleash forces that deny their liberty, threaten to destroy their love and propel them into dangerous exploits. Displaced by a presidential edict in 1838, Awanessa, and her entire Cherokee tribe, must leave their homeland in the Southeast United States to march thousands of miles on the arduous Trail of Tears. Meanwhile, Awanessa wages a personal battle that leads her to rescue Jeremiah, a slave on the run, who is being attacked by trackers and bloodhounds. As the couple's lives intersect, they yearn to find their place in an intolerant world. In a desperate race for survival, Awanessa and Jeremiah flee the Smoky Mountains to the Okenofee Swamps of Georgia with the Seminoles, and later, St. Augustine, Florida. By a twist of fate, they end up in post-emancipation Jamaica where they discover a new world of possibilities while confronting jealousy, mistrust, deception and obeah. As they boldly stake a claim for their future, vengeance strikes, loyalties are put to the test, a life is perilously at risk and they wonder, what price will they have to pay for freedom? Former Jamaica resident Oliver Hill knows how to guide visitors to the best of everything Jamaica has to offer, from the rich roots and culture of the island its most romantic escapes. Oliver also offers a range of exciting activities for every traveler, including unique trip ideas like Best of Jamaica and Ecotouring Jamaica. Complete with details on the best beaches and great day trips off the beaten tourist path, Moon Jamaica gives travelers the tools they need to create a more personal and memorable experience. Neita's Nest is listed under Stony Hill Accommodations, Kingston. Whether you grew up in Jamaica or not, this heartwarming collection of stories and poems brings you ‘home’. At the heart of this collection is the innocence of childhood, with its wonders and woes; learning to ride, squabbling with siblings, coping with loss, and the ever-present fear of duppies. The poems woven throughout the book provide entertaining snapshots of Jamaican culture, managing to say so much in just a few lines. The author uses patois to hilarious effect, as she gently pokes fun at old-fashioned values. Overall, Peedum is a skillful tapestry of memories, traditions and Jamaican folklore that is deeply personal and yet universally appealing. "Peedum" sweeps you up into colourful narratives, bursting with imagery, and carries you on a journey, through a Jamaican village, straight into the hearts and souls of its vivacious characters.